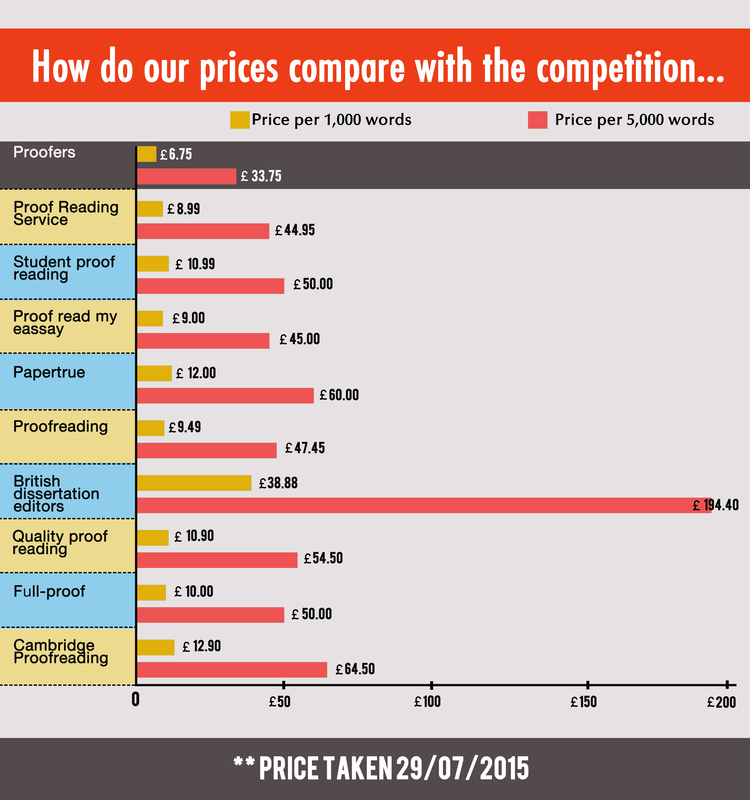 With many students approaching submission deadlines over the coming few weeks, at Proofers, we’ve taken some time to compare our services with those of other proofreading companies around the UK. We always strive to offer value for money without compromising quality and we were pleasantly surprised by what we found. Proofers offers a consistently better value service in all areas – proofreading copy editing, formatting and plagiarism checking – than any other UK company, even though our proofreaders have the same high standards of academic qualification. With our online calculator, it couldn’t be simpler to find out our price for checking over your dissertation, thesis, essay, CV or business document. No written piece is too big or too small and we pride ourselves on making the process as stress-free as possible and communicating with you quickly and efficiently. To find out the Proofers price for checking your document so that you can do your own cost comparison with other UK proofreading companies, simply enter your word count and chosen level of service into the online calculator.